One of the things that you've probably noticed about living in Washington is that it can get very rainy during the year. This means that the pests have to adapt to the weather just like people. In most cases, this means seeking refuge in the hollows of trees, under logs and even inside homes. 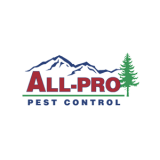 All-Pro Pest Control can eliminate pests in homes and businesses with products that are safe for the environment, family members and pets. From termites to wasps, pests need to stay out of the rain just like people would. They can sometimes find a leaf to hide under, or they could find a log that is dry on the inside. Sometimes, pests will just stay inside the homes that they have made until the rainy weather passes. Most of the time, rain and cooler weather will tend to slow down the movement of pests. This can be an advantage for exterminating companies as it offers a way for technicians to better be able to see where the pests are migrating and where they are traveling near the home. Pests are slower because the rain that collects on the wings and other parts of the body will add weight. This is a weight that insects can't usually carry. However, some pests have become adjusted to carrying more weight by eating more food so that they have larger muscles. Excess food also gives insects more energy that can be used to help them stay on track if it's windy outside while it's raining. Some pests, like bees and wasps, will huddle together to stay warm and dry. The queen will usually use the flight muscles as a way to make heat to stay warm. There are a few pests that have proteins in the body that keep them from freezing so that they can continue moving about while it's raining. If it's only drizzling, then many pests tend to maintain their general daily activities until it starts to rain harder. Butterflies will find refuge underneath large leaves. Worms often find a warm place in a log. If you notice any kind of pests around your home, especially when it's wet outside, All-Pro Pest Control can help to eliminate the problem. We proudly serve Renton, WA along with a number of other cities in Pierce and King County. Call us today for a free quote!